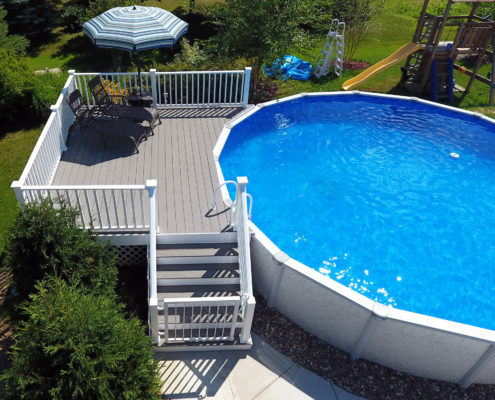 Elite Improvements built this custom above ground pool deck in Menomonee Falls efficiently with perfection. 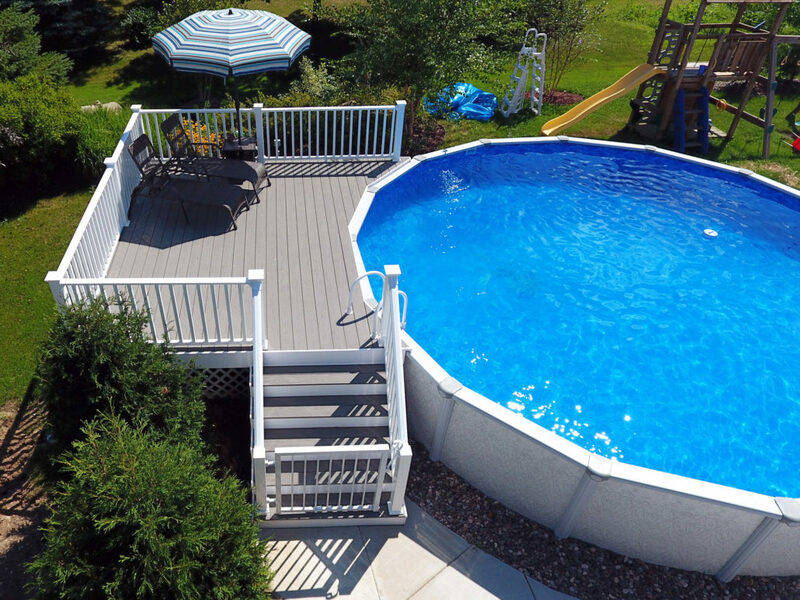 We love building decks of all kinds – from design through execution. 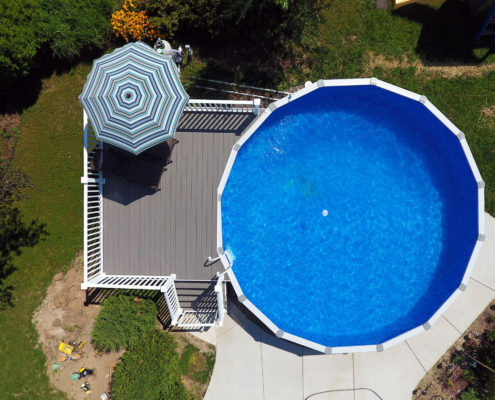 Our guys come in with the utmost professionalism and unmatched passion in every project. 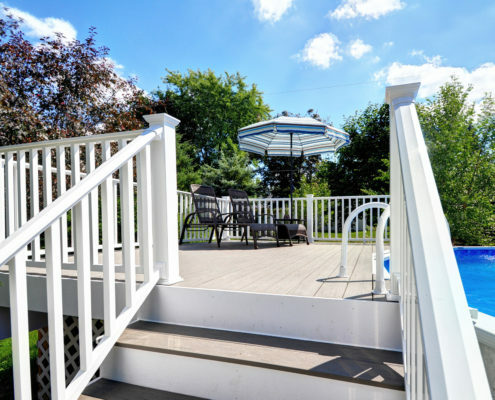 Decks are a great asset to your property. 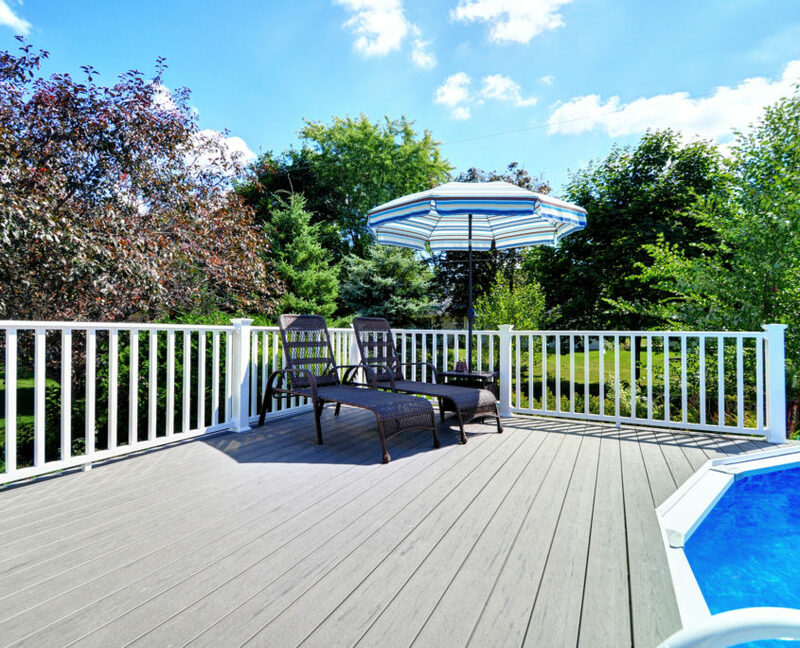 They not only add value to your homes resale, but also enhance your environment. 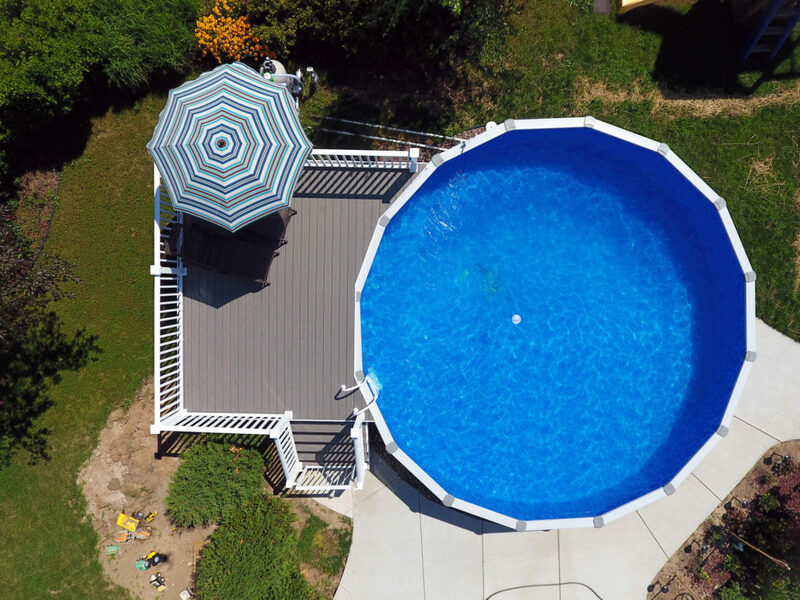 Great for entertaining guests, laying out and relaxing with a book or cold beverage, just dipping your feet in the side of the pool – you name it. 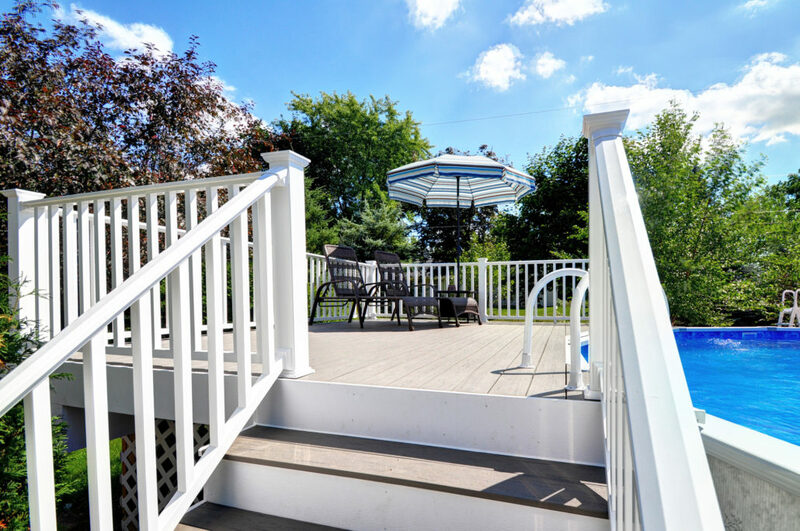 Elite Improvements will help you plan your new deck project just like this one from start to finish. As it states in our name, our passion is IMPROVEMENT. 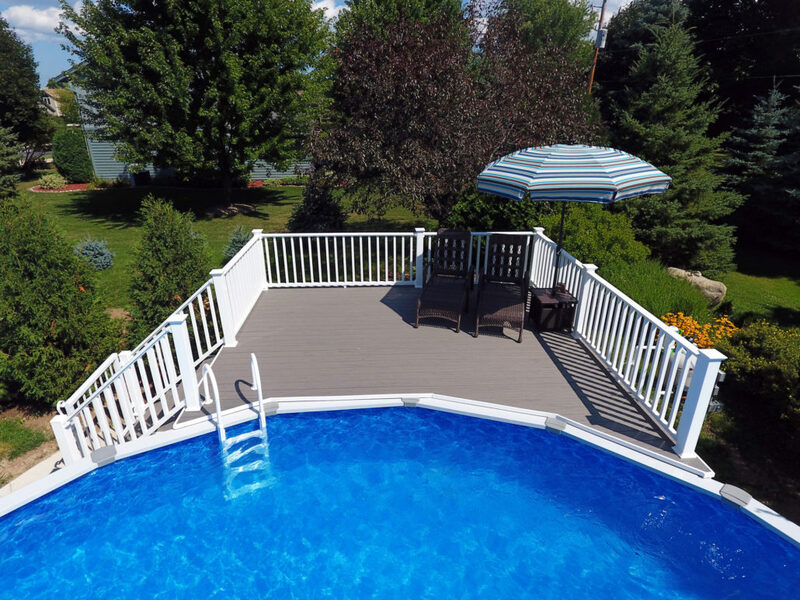 We LOVE building custom decks like this one and can’t wait to do yours next!